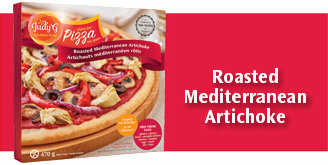 Delicious gluten-free pizza free from up to 9 of the most common allergens. What's in it makes it delicious... what's not in it makes it amazing! What's in it makes it delicious... what's not in it makes it amazing!